We have this theory – if someone feels like a sports star then they’ll play like a sports star just to live up to that image. Whilst we can’t actually prove this theorem of ours yet, we can say for sure that our sports hero images do look freakin’ awesome on a wall! Human Republic’s central concept is to make anyone and everyone the subject of images that normally are only produced featuring celebrities, athletes, and models. The idea behind the image above was to emulate the styling we all see in sports adverts, and to create the type of poster that Nike might put on a billboard for instance. 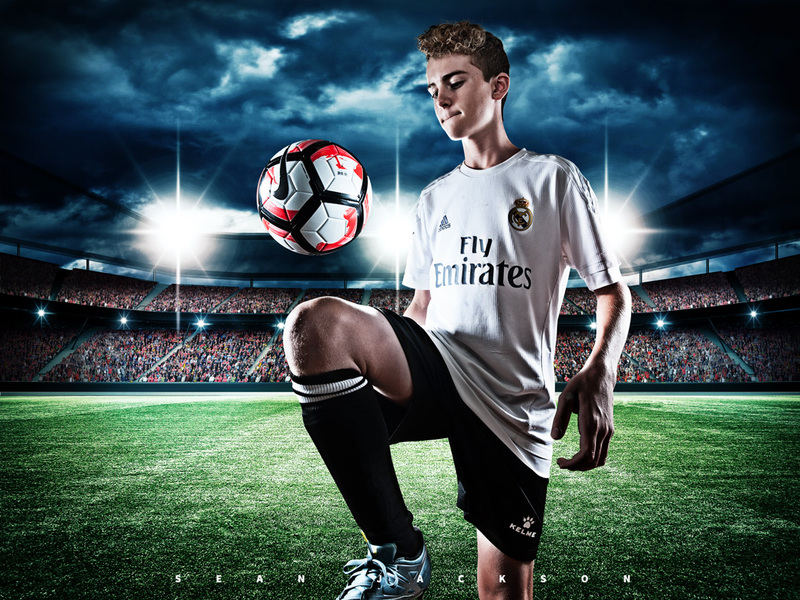 The image is a composite; we shot our soccer player in the studio and then using some digital trickery we placed him in a stadium in front of thousands of adoring fans. This is a great technique for every type of sport and we can very easily photograph you or your kids in a whole range of outfits and make a poster for each sport or activity that you do. We offer major discounts when we can shoot multiple images at the same time and we can even come to you. So, if you think the others on your team would like this kind of treatment, please give us a call to discuss it!